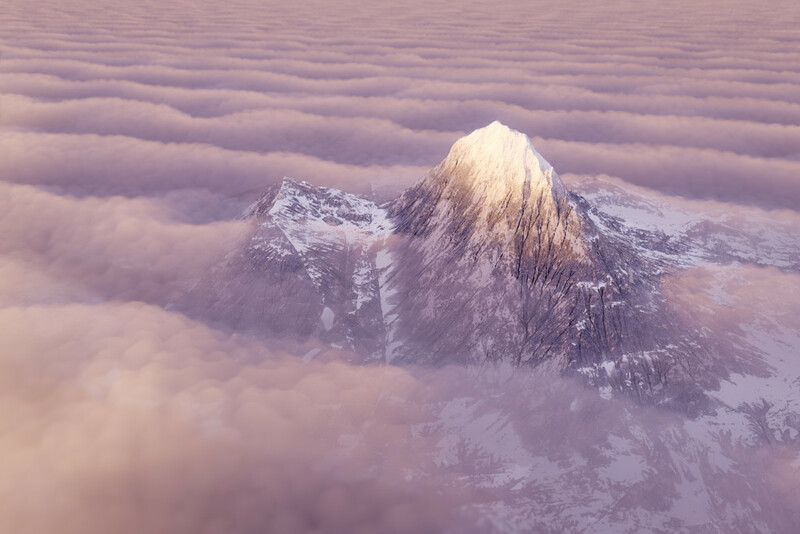 Things I learnt today - how to make a colour table for World Machine and... clouds are hard, processor-intensive and a total PITA to dial in. This took 3 hours to render - it would only pack into my 8GB graphics card so I couldn't use my 6GB card at the same time (sob!) - and I had to render at a much lower res than I usually do. Still, I guess it's turned out OK for a first stab - though photo-realistic it most definitely isn't! Thank you for the acronym (PITA). I believe that I shall find it quite handy. I have no idea how you did this, but it is mesmerizing. I LOVE this! BTW, I thought I was following you and you simply weren't posting. No idea how I lost the link, but glad to Follow again.